Ms. Ghabour is a member of the Real Estate Acquisition, Banking Law and Corporate Law practice groups. She represents clients in all aspects of commercial and residential real estate transactions, including sales, acquisitions and financing. 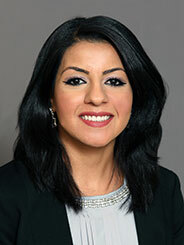 Ms. Ghabour also represents lending institutions in credit and real estate transactions.